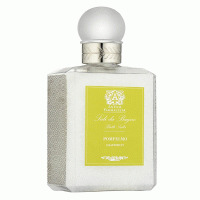 Antica Farmacista Diffuser Fragrance, the signature product in the collection, is a unique and beautiful way to fragrance and decorate the home. The Home Ambiance Fragrances utilize antique inspired apothecary bottles, filled with fragrance, to permeate the air through the bottles' open neck and white birch reeds that are inserted to further diffuse the scent. Simply position the fragrance bottle in the room of your choice and uncork. Place the reed bundle into the neck and reverse the reeds every few days or as desired to enhance the scent. 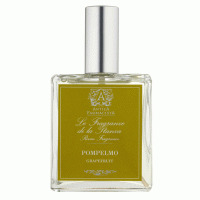 The Antica Farmacista fragrance will infuse the air and provide a lasting, constant and beautiful scent. Antica's intricate expression process of the grapefruit essence results in a clean, fresh, invigorating fragrance prized by citrus aficionados. A favorite in Italy for centuries, Grapefruit is appropriate in any area of the home and loved by both men and women.